Yesterday, 3rd Day of December, 2017 is symbolic to Christendom, in many ways. 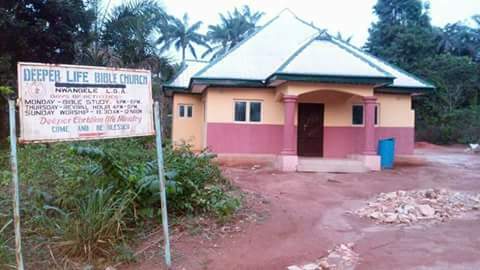 To the Christians In Nwangele, especially, members of Deeper Life Bible Church, it is a day set aside to dedicate their new church building, single-handedly built and donated by the Deputy Speaker of Imo State House of Assembly, Rt Hon. Ugonna Ozurigbo. It will be recalled that the Deeper Life Church in Umuozu, Nwangele LGA, have operated from a "Zinc house" for some years, until the Deputy Speaker of Imo State House of Assembly took it upon himself to build for them a befitting house where God dwells. This is a great moment for the Christian faith, especially, considering the fact that the Deputy Speaker is a Catholic, and has no physical ties or benefit for this magnanimous donation, save for the fact that he did it for God's kingdom. The date chosen for the dedication coincided with his trip to Enugu where he had gone to represent the Speaker of Imo State House of Assembly, at the Conference of Nigeria Speakers which held over the weekend, this he was represented by the his associates, Mr. Ukachukwu Onuegbu, Mr. Raymond Osuji (RACO), among others. 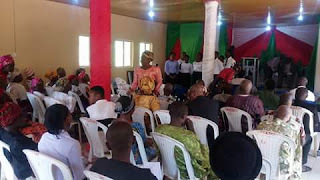 The regional pastor of Deeper Life in the area, Pastor Chukwukere showered encomiums on the Deputy Speaker, referring to him as a rare breed among leaders, because he endeavours to keep his promises in record time. According to him, this is a defining moment for Christian faith in Nigeria, because it is uncommon to have people from other denomination do this sort of favour to others, even if it is for God. The Resident clergy, Pastor Timothy recalled that they had only approached Rt. Hon. 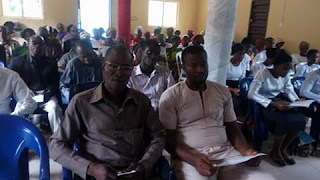 Ugonna Ozurigbo to support their proposed building project, during the period of the distribution of the four trailer load of cement which he donated to all the churches in Nwangele, but rather than just give them their fair share of the cement, the Deputy Speaker decided to take up the project wholly. Prayers were offered on behalf of the Deputy Speaker, the all the presiding pastors with the promise to continue praying for him, for as long as that building lasts.